Signs Your Water Heater Might Need to be Replaced :Delfera Heating and Cooling Co.
Age-A gas water heater can last anywhere from 8-12 years and an electric water heater can last anywhere from 10-15 years. Cold Water-If your hot water heater is not producing hot water anymore. Leaks/Crack-If you notice water or moisture around your hot water heater, it could mean there is a crack or a leak. Noise -Over time, sediment builds up in your hot water heater. The sediment can cause noise such as rumbling or a gurgling sound. Rusty Water-If you notice your water is a tinted color coming from the water heater it could mean your water heater is rusting away on the inside or that your home’s piping is rusty. Some of these problems can be fixed, but once the age of your hot water heater gets up to 10 years, we recommend replacement. 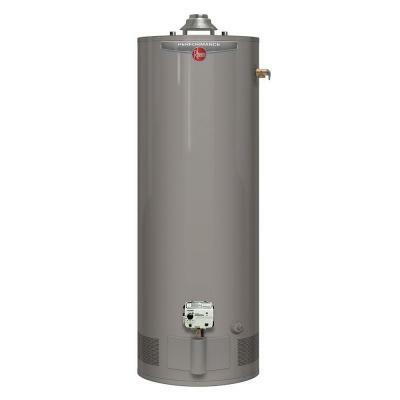 Thinking you might need a new hot water heater? Call us at 610-494-1114 for pricing and more information! I’ve noticed a few of the issues with our water heater that you listed here. Usually, it ‘s the lack of hot water in the shower on a cold winter morning for us! And it’s not because we share a water heater with neighbors. I appreciate the information you have provided – it helps me know what else to look for if the problem persists. Thank you for your comment and for checking out our blog! If you ever have any question or concerns about your water heater, feel free to give us a call at 610-566-0900. It is good to know that a gas water heater can last from eight to twelve years. 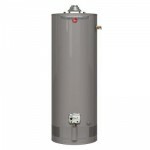 Knowing that it is appropriate to replace the water heater after these years have passed is helpful. It would be good to check if there is a warranty on the water heater after purchasing. Yes, it definitely would be good to check! Thank you for checking out our blog, Jade! I appreciate your comment about how your hot water system should be looked at if there is any condensation on the heater itself from possible leaks. I didn’t know that your water could actually start coming out a different color from rust and that that is a sign that it definitely needs to be replaced. My parents’ are considering having their’s replaced because cold water comes out more often than hot water. Thanks for the tips, we will keep them in mind. Thanks for checking out our blog post, Ashley! I think we may need a new water heater. Our’s is about 9 years old, and it’s been having issues making hot water recently. It’s probably worth it to get a new one, right? I think it would definitely be something to consider with the age of the water heater! Good tips for looking for Signs our Water Heater Might Need a replacement. Enjoyed the write up. Thanks! Thank you so much for checking out our blog! We really appreciate it. Thanks for putting together this list of signs that your water heater may be in need of replacement. I never thought about noise being an indication of a water heater needing to be changed. My mom has been hearing things from her water heater and she has been wondering if she needs to get it looked at, I will be sure to share this with her. Thank you for checking out our blog. We really appreciate it! Thanks for putting together these tips. My water cylinder is showing some of these signs so I will investigate further. helpful tips to have a better water heating experience by replacing the old one at right time. Thanks for checking out our blog, Andrew! My wife and I just moved into a house and I noticed that the water heater makes noises somewhat frequently. I have also looked at the heater and saw that it is nine years old. It is good to know that it might be time to replace the hot water system since sediment has probably built up in it. Yes, that definitely sounds like that could be happening. It’s always good to stay proactive and change out your water heater before a major leak happens that could potentially create a lot of damage in your home. Great tip with insulating your older water heater. As soon as I get home tonight I am checking mine! Thanks for checking out our blog, Kyle!